Eyeglasses – for some an accessory, for many a necessity. Frames are used for more than merely correcting vision; they are a fashion statement and worn by many of us. Their careful selection is vital, considering the importance of your choice. 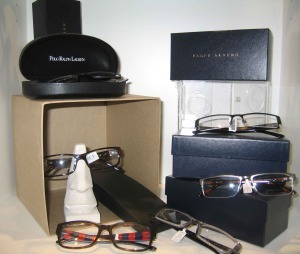 Haik Humble Optical Center offers a complete line of fashion eyewear. Our product lines convey a flair for aesthetics and our awareness of both fashion trends and classic tradition. We are constantly updating our inventory to make sure you can choose from the most recent designs and technology available everywhere. This year’s collections are based on new materials in frame production including aluminum, cobalt alloy, stainless steel, and different types of titanium. As trends change, we search for and purchase new styles that compliment our extensive collections. We are confident that you will find a look that fits your personality and lifestyle. As frame technology has changed, so has lens technology. We manage our own optical finishing laboratory to ensure that your glasses will be made with the same level of care that you have come to expect over the years. Most single vision lenses can be ready for pick up within an hour. Bifocal and other ordered prescriptions can be ready within just a few days. Also available are the latest in tints, scratch resistant or anti-reflective coatings, and ultra thin lenses. 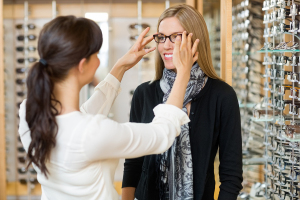 As with frames, the opticians of Haik Humble Optical Center are experts at recommending appropriate lenses for your vocational and recreational needs.